Dear people of all the universes in the entire universe: a book where two young people fall for each other at Disneyland! Does that not sound like the best, most amazing thing ever? And it exists! 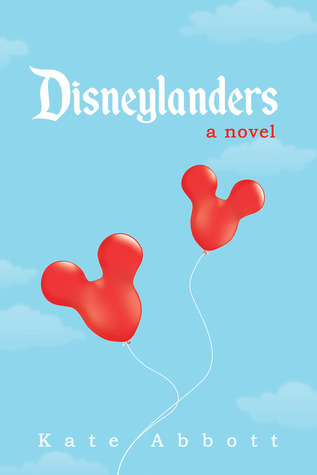 Kate Abbott wrote it in Disneylanders, and I want to read it--and so should you! So today I've got all the info on the book and author, plus a giveaway, thanks to Book Nerd Tours! Check it out! Casey (short for Acacia, but don't call her that) is spending a few summer days with her parents at Disneyland. Just like they do every summer. Except this summer is different. Casey's best friend has dumped her. She starts high school in the fall, and she's tired of following her parents' rigid schedule and putting up with their embarrassing behavior. She's miserable. Even Disneyland can't make her happy. Then, in line for the Indiana Jones Adventure, she bumps into Bert. A year older. Tall. Brown eyes. Nice. But Bert's parents are mysteriously absent. And he wears an old, broken Mickey Mouse watch. Bert has secrets. When Casey ditches her parents to run off with Bert, those secrets are revealed in the darkness of a Haunted Mansion Doom Buggy, aboard a rocket ship hurtling through Space Mountain, and in the cramped confines of a bobsled on the Matterhorn. Is Bert really as cool as he seems? Could he become Casey's first... boyfriend? For that to happen, Casey must not only fight her parents' attempts to ruin her relationship with Bert, she must also deal with a pack of selfish, rowdy girls - the "Bra Strap Girls" - who seem intent on sabotaging her vacation and stealing Bert. When Casey leaves Disneyland, with or without Bert, she'll have left behind her childhood and learned some important lessons about what it means to grow up. 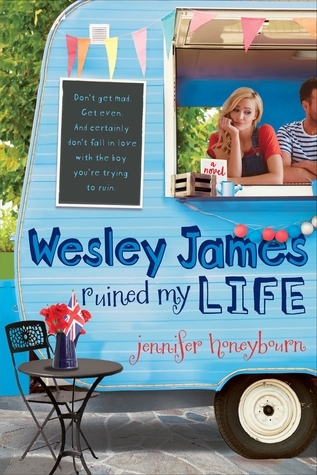 This book sounds totally cute and awesome and I must read it! Oh yeah I love the sound of this book! Disneyland is one of my favorite places so reading a book set there sounds just perfect.